It’s a daunting task, reviewing this full length debut from young Sacramento, California group A Lot Like Birds, so, before I go any further, let me just say that it is continually impressive, intriguing, and a great achievement for them. This album sounds like what I had hoped Fall of Troy’s follow up to Doppelgänger would sound like. It’s progressive, it’s temperamental, it’s symphonic, and it’s full of lengthy complex songs that are not afraid to go off on saxophone-fueled tangents. Some albums I might compare it to are Don Caballero’s World Class Listening Problem (but with more vocals) or The Sound Of Animals Fighting’s latest, The Earth and The Sun (but with fewer vocals). Instead of jamming breakneck math-rock and screaming from start to finish, which would’ve worn thin, there are some incredibly thoughtful interludes – some classical, some trip hop (as on the climactic “How I Parted The Red Sea”) – that work to break up the meaty bits. Due to the pervading talent of the musicians involved, rarely does the lack of vocals leave songs sounding at all empty – but it does happen occasionally; samples from The Empire Strikes Back (“Your Ex Marked My Spot”) and American Beauty (“Sesame Street is no Place for Vengeance”) work in an interesting way to illustrate the theme or feeling behind each number, but they aren’t always enough to build the sort of connection vocals can add to backing music, no matter how mundane. 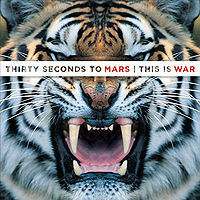 If I spoke a different language I think I would like This Is War, from Jared Leto and 30 Seconds To Mars, a lot more. The album’s songs all revolve around the theme of war, somewhat obviously relating it to relationships, though less ham-handedly than John Mayer on the recent Battle Studies. Atmospheric, symphonic sounds back the over-driven stadium-powered rock. These battle tracks are definitely lush and rich in texture and, if I did speak another language, then I could, perhaps, enjoy them more as I wouldn’t be continuously rolling my eyes at the lyrical clichés Leto drops throughout them like so many ineffective duds. I refer specifically to “Closer To The Edge.” There’s nothing original about this song. 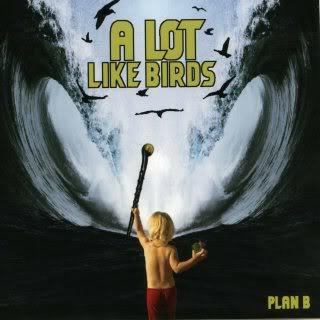 From it’s title, lifted from a Linkin Park track, to the verses that feature lines like ‘this never-ending story’, and ‘the death of a dream,’ and ‘one day maybe we’ll meet again’… even the melody in the chorus sounds like a hundred other songs more likely to be successful on the radio. Overall it’s a decent record, just try to focus more on the feelings Leto is conveying than what he’s singing. 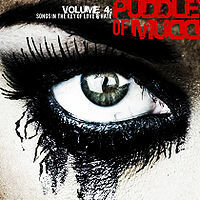 Very little has changed about Puddle of Mudd since they first came on the scene in 2000 with their debut Come Clean, this album even marks the return of Paul Phillips who played lead guitar on that album, but left the band in 2005. If you’ve been paying attention, however – and I don’t blame you if you haven’t – you’ll know that while not much has changed internally, record sales for the band have gone steadily down with each consecutive release. Seeking to counter that trend, the band has teamed back up with producer John Kurzweg who worked with them on their first two records, as well as several other producers, and put out a streamlined album of just 10 tracks. The song you’ll be hearing most often is probably the single “Spaceship,” an obnoxious ‘hey, let’s screw’ song that hopes to grab the easily-diverted attention of Nickelback and Theory of a Deadman fans. While not particularly more cerebral, there are other tracks, like “Blood on the Table” and “Pitchin’ a Fit” that are more true to Puddle of Mudd’s pissed off roots. The fate of those who cash in on shocking the public through their professional feats – guys like Howard Stern, Tom Green, Sacha Baron Cohen, etc. – is to constantly be forced to outdo themselves. Shock value tends to wear off over time. 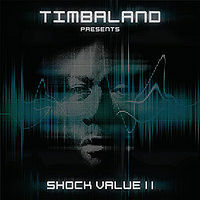 So, the question is, with the second installment of Shock Value, has iconic producer/rapper/shoe company Timbaland outdone himself? Mmmmmmnot really. He’s brought together an impressive list of collaborators once again, including Justin Timberlake, Katy Perry, and a strong contingent of Canadian artists including Nelly Furtado, Drake, and, yes, Chad Kroeger of Nickelback. Unfortunately for those latter two artists, the tracks with Drake and Kroeger (“Say Something” and “Tomorrow in the Bottle,” respectively) suffer from hookless choruses repeated an infuriating amount of times and little substance in between. Other tracks are just the sort you’d expect; you can practically sing songs like “Lose Control,” “Can You Feel It” and “We Belong to the Music” only ever having heard the title. There’s a disturbing thread through a couple of these obvious club hits I feel required to point out. On “Lose Control” Timbaland has a duet with JoJo, a pop singer you might recall who had the hit “Leave (Get Out).” JoJo is 19 years Timbaland’s junior, not to mention underage in the States. On “We Belong to the Music,” the 38-year-old rapper is backed up by 17-year-old Miley Cyrus. Something about this is positively creepy. When those songs were playing I was listening carefully for code words. For example, in “We Belong to the Music” every time Miley sings about ‘this party’ and ‘dancing’ I wonder if she knows she’s really singing about getting drunk. Never does she use the word ‘club,’ but Timbaland knows full well that’s where they’ll make their money. I don’t mean to come down on everyone’s good time. The album isn’t that bad – but somewhere between Justin Timberlake switching teams from McDonalds to Burger King and Timbaland grinding up on Miley Cyrus I just got kinda creeped out.